During the first week of April, the III Certification in Cultural Transformation and Knowledge Management took place. 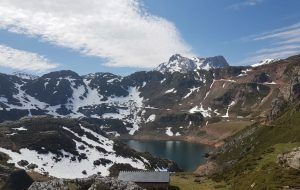 For this, we prepared the backpacks with warm clothes and eager to learn, we went to Somiedo for five days. 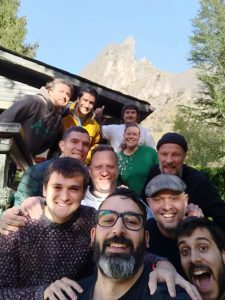 There, we were different tribes sharing knowledge, learning and also enjoying a week in the Asturian mountains. There were representatives of DPD from Belgium, iThrive from the Netherlands and Eureka PR from Madrid. It was an unforgettable experience. We had time to get to know each other, learn what each tribe did, chat and debate about Econology and what Zapiens represents and – how could it be otherwise – eat a lot and well. During these days we focussed on getting to know each other and discussing and sharing what is Econology and how we can apply it. Firstly in our day to day personal actions and then extend it and transmit that energy in both our family and work environments. Because at the end of the day, we should not forget that the agents of change are and always will be the people. There was also time to include some very interesting hiking trails. 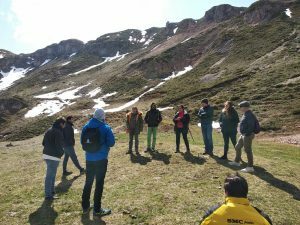 We had the chance to visit one of the glacial lakes that exist in Somiedo and enjoy, thanks to Rosalía, the owner of the Apartamentos Rurales Buenamadre, a great experience. We wanted to take this opportunity to thank all the people who, in one way or another, have made it possible for this to happen. And for those who have not yet participated and seeing what a good time was had is making you eager, do not worry, we will keep you informed of when the next certification will take place. But like everything, even the good things come to an end and on Friday each tribe returned home with the conviction that as a team, with work and desire to learn, all projects can come to fruition.